The Way Forward: Paperless, Consolidated and Guess What Else? President Obama has challenged his cabinet to cut a collective 100 million dollars in the next 90 days. Agencies will be required to report back with their savings at the end of 90 days. Below are the cost cutting measures that State has begun to implement according to the White House. It looks like consolidation is the way forward for State and USAID. The first two items on the list below already total $6 million. What else would be on this list by at the end of 90 days? Going Paperless – The Department of State’s National Visa Center (NVC) will implement electronic correspondence for immigrant visa processing. NVC anticipates cost savings in the first year of implementation will be approximately $1 million. Consolidation in Posts – Consolidation in over 30 posts over the last few years have enabled USAID and State to save an estimated $5 million annually. The Department plans to expand consolidation to the 30 missions in USAID and State that will not be co-located by FY 2010 for an additional $5 million of savings. Contract Consolidation – In a number of areas – including cell phones, PDAs, office supplies, furniture and medical supplies – the Department is reducing costs by consolidating purchases under one vendor or a small number of vendors, thus taking advantage of volume discounts. With office supplies alone, the Department anticipates cost savings between 7 and 10 percent. Excess Inventory – In the past six months, the Bureau of Information Resource Management (IRM) has identified 15,000 obsolete items valued at $5 million from IRM’s inventory stock and has turned them in to the Department of Agriculture Centralized Excess Property Operation. This purge of equipment has freed up much needed warehouse space at a State Annex and will save tens of thousands of dollars in storage facility fees. US Passport Vulnerabilities: Knee-Jerk Variety Response? In the case of our most egregious application—in which we fraudulently obtained a passport using the SSN of a man who died in 1965—State officials said that the lack of an automated check against SSA death records has been a long-standing vulnerability of the passport adjudication process. In an attempt to provide automatic death record information for all cases reviewed during adjudication, Passport Services represented that it has recently purchased a subscription to the Death Master File which includes weekly updates of deaths recorded by SSA. Passport Services intends for the Death Master File check to supplement the other checks in the adjudication process and not replace the current returns from SSA. State suspended the adjudication authority of the four passport specialists responsible for approving our fraudulent applications pending additional training. It is auditing all work completed by these specialists. State suspended the authority to accept passport applications at the USPS facilities that accepted our applications pending additional antifraud training. 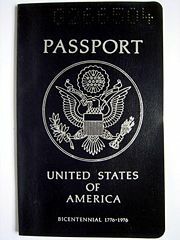 State revised performance standards for passport specialists to eliminate the production targets for 2009. In addition, State implemented a temporary requirement that supervisors review all adjudicated applications prior to approval. All other aspects of performance standards were left intact for quality and fraud prevention purposes. State identified additional tools and systems that would help address vulnerabilities within the issuance process. State officials added that Passport Services will be conducting a study and working with the union to develop new production targets. These targets will not be in place until 2010. Footnote to this report indicates that between June 20, 2008, and December 22, 2008, a total of 71,982 applicants received passports without supplying their SSN. The vulnerabilities of US passports are in no small part systemic. The 2005 GAO report has pointed out the weaknesses in State’s information sharing with other federal agencies. For example, State and SSA signed a memorandum in April 2004 that gave State access to SSA’s main database to help verify passport applicants’ identity but it did not include access to the SSA’s death records! So the fault here is assigned to a combination of human error and lack of access to relevant information. And the adjudication authority of four employees were suspended, their previous approvals audited — even if the systems in placed were partly to blame. I feel a tad sorry for the adjudicators. Sure, if they did not follow the required procedures, they should be accountable, but what if the procedures have holes in them? Isn’t that kind of like walking the police beat without a gun, and getting slapped with a suspension when a suspect beats you up and run away? I could not understand either why the audit is limited to the four adjudicators. Is this not a systemic failure — this and the fact that four years after the first GAO report was issued, this remains a “challenge” with no real resolution? How many adjudicators have done exactly as these four did with applications from people who submitted real docs for their fraudulent applications? Doesn’t this incident indicate to passport adjudicators that your tooshie is on the line, more than what you might reasonably expect? GAO-09-447: Department of State: Undercover Tests Reveal Significant Vulnerabilities in State’s Passport Issuance Process, (Washington, D.C.: Mar. 13, 2009). U.S. Ambassador to Indonesia Cameron Hume opened an Earth Day festivity at the Sea World in Ancol Dreamland Park, in North Jakarta this past weekend. The Ambassador led the Earth Day celebrations aimed at promoting the protection of Indonesia’s rich underwater biodiversity. During the opening festivity, Ambassador Hume, joined a guide on a dive into the shark aquarium and fed the sharks from the cage inside a tank. A video of the shark feeding at Sea World Indonesia is below but — that’s not Ambassador Hume. I have been unable to locate the actual video of the event. The Jakarta Post did carry an AP photo of the shark feeding. Check out the photo here; it’s not really clear with the mask and all, but according to AP, that’s the guide inside the tank with Ambassador Hume on the right. 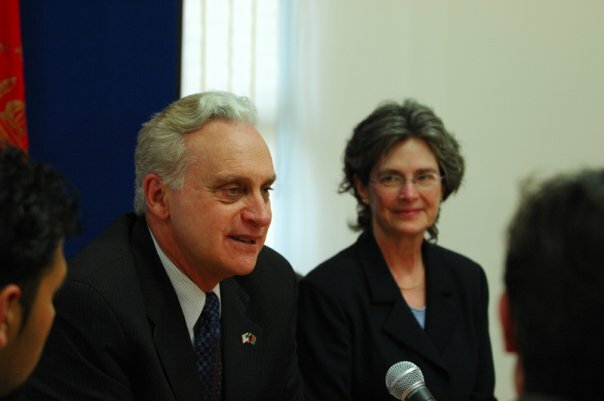 Since Dr. Ricciardone is now in Kabul with her husband and Ambassador Eikenberry is reportedly going to be also accompanied to Kabul by his wife, I wonder if this means State has now reconsidered the status of Afghanistan as a fully unaccompanied post? The embassy in Kabul is on Facebook, Twitter and Flickr. Okay — what’s with Kabul PD’s photostream in Flikr — all photos posted are marked “all rights reserved” — these photos are unmarked with regards to who took them, so I am presuming these were taken during the course of a USG employee’s official duties. As a work of the U.S. federal government, these images should be in the public domain.